The map shows the track crossing two small tributaries before heading sharply down to meet the main river. 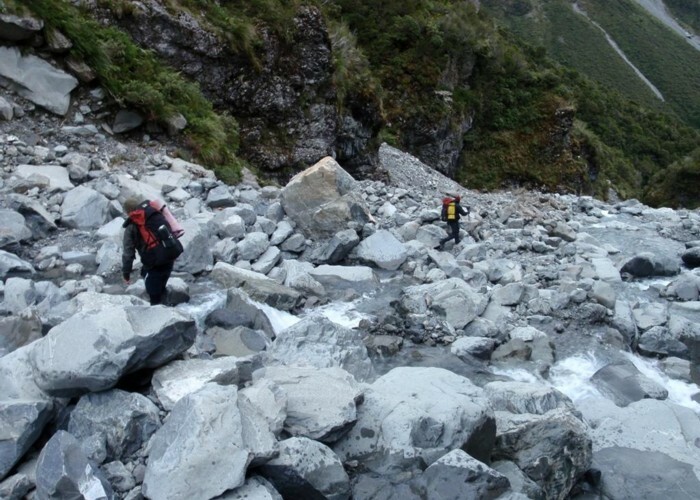 You may not, in fact cross any tributaries and when the track ends at a large orange marker on the edge of a steep scree/stream, follow the streambed all the way down to the main river. From here the way out is fairly easy to pick, although again only a few cairns exist along the river's edge. Added 29 January 2011 by GrayscaleGrayscale. No revisions.